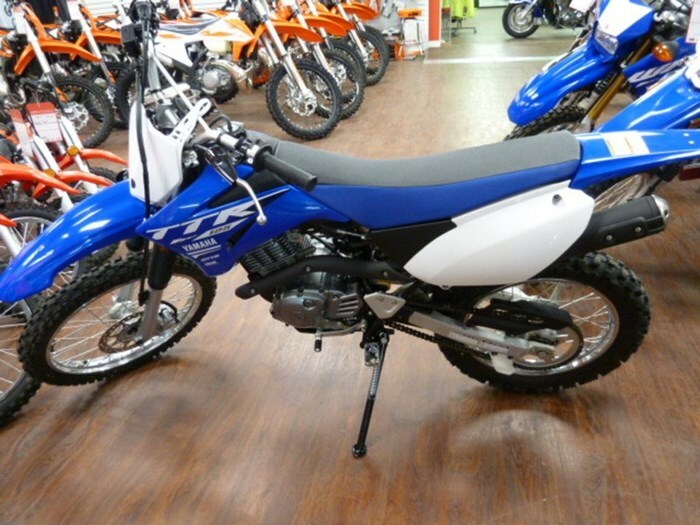 2018 Yamaha TT-R125LE - Potent, air-cooled, 124cc, SOHC, 2 valve, 4-stroke powerplant produces broad, torquey power tuned for maximum, novice-friendly off-road performance perfect for a wide range of trail conditions. 2018 Yamaha TT-R125LE CONQUER DIRT There's no better way to build confidence than with a TT-R! Designed with new riders in mind, the TT-R125LE features lightweight construction, electric start and smooth, predictable power delivery. 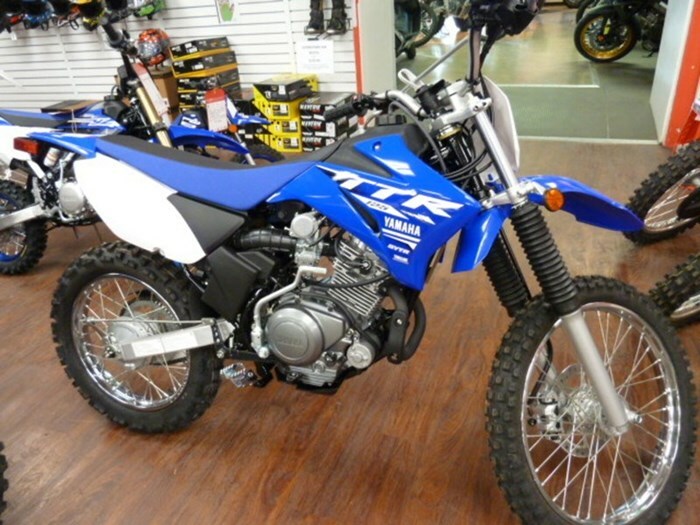 POWER Potent, air-cooled, 124cc, SOHC, 2 valve, 4-stroke powerplant produces broad, torquey power tuned for maximum, novice-friendly off-road performance — perfect for a wide range of trail conditions. EASY TO RIDE The rigid, diamond-type, steel frame features a 1,270 mm (50") wheelbase providing quick, agile, off-road handling. The convenient push-button electric start makes getting started a lot easier. Features may include: ENGINE Potent, air-cooled, 124cc, SOHC, 2 valve, 4-stroke power plant produces broad, torquey power tuned for maximum, novice-friendly off-road performance? perfect for a wide range of trail conditions Super convenient push-button electric starting with manual kick starter too Proven, 2-valve cylinder head design Automatic cam chain tensioner & silent design cam chain Engine counter balancer Easy access, side mounted engine oil drain plug for fast, easy oil changes Mikuni VM20 carburetor Easy-access, tools free, washable foam air filter reduces costs Smooth-shifting, 5-speed transmission with manual clutch Lightweight, upswept exhaust system with stylish aluminum end cap CHASSIS/SUSPENSION Rugged, diamond-type, steel frame features a 1,270mm (50") wheelbase Lightweight, aluminum, box-section swingarm Adjustable 31 mm Showa front fork with 180 mm (7.1") of wheel travel Fully adjustable Monocross, link type single shock rear suspension offers 168 mm (6.6") of wheel travel. Front 220mm disc with twin piston caliper delivers strong, confidence-inspiring stopping power Rear drum brake with easy-to-use, wing nut adjuster Low 805 mm (31.7') seat height 295 mm (11.6") of ground clearance 6 litre plastic resin fuel tank Mid-size, 19" front & 16" rear wheels.